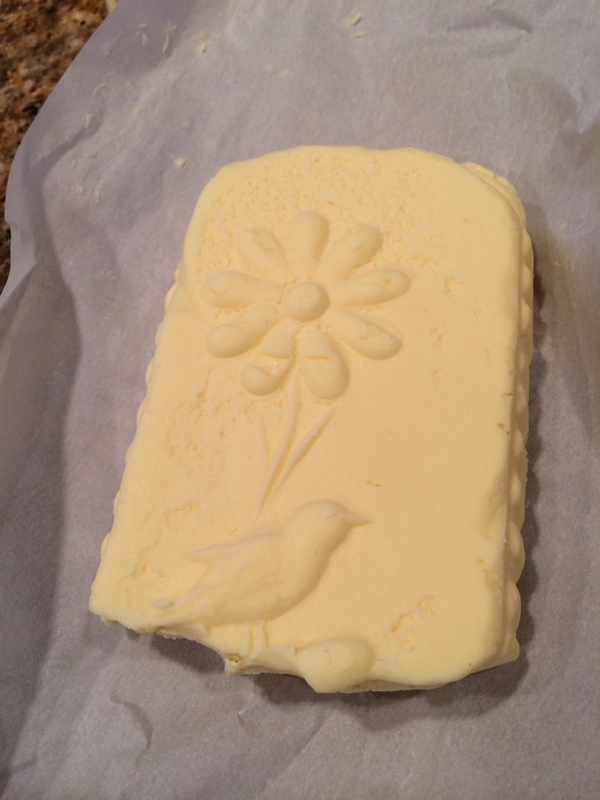 I’ve been making a butter mold for a year. Its 75% done, like its been since the day I started on it. Looking at my to do list, I noted that I still have many chapters to it and it wasn’t getting shorter. I also noted the Lehman’s had a German made butter mold that was already done and reasonable priced. I will still make mine because it is smaller for smaller batches but for large batches the one I purchased is great. I didn’t have a large batch of butter this time but still, I’m pretty happy with the decorative butter that this mold produced. It certainly looks better than the “play-dough” log that I made before.